It is that time of year when spring can feel within touching distance, only to be snatched away by the return of winter weather. At the time of writing (February 20), the Met Office is predicting with ‘some confidence’ that recent ‘sudden stratospheric warming’ over the North Pole could lead to prolonged cold conditions over the UK. Just as well then that field conditions in most regions are probably too wet for the start of spring work to be seriously contemplated. The coming season sees some exciting new products added to the crop protection toolkit, but they arrive in the market against a backdrop of ever-increasing problems with resistance and they, along with existing materials, must be used judiciously in the coming months if we are to retain their efficacy going forward. Michael Gove’s speech to the NFU conference revealed a little more of how his thinking is developing on some of the most pressing issues facing the farming industry – trade, labour, support. Voicing his appreciation for ‘everything farmers do to keep our soils rich, our rivers clean, to provide habitats for wildlife’, Mr Gove at the same time acknowledged the need for successful, profitable farm businesses. He was, he said, putting food at the heart of Government thinking. Warm words indeed but potential pitfalls are evident: subsidy levels are guaranteed until 2022 but there was clear indication some will change from 2019; talk of the need for farmer collaboration will be broadly welcomed but what of the tensions which still exist along the supply chain? And some have questioned whether Gove’s vision will be acceptable to his colleagues in the Cabinet and Treasury. The Defra Secretary has clearly developed his thinking since his speech to the Oxford Farming Conference in January, but with publication expected this month of a consultation paper on the future of agriculture policy in England, it is not announcements about announcements but more detail that is needed. The other big news from the conference was of course Minette Batters’ election as the first female president of the NFU; we wish her every success. 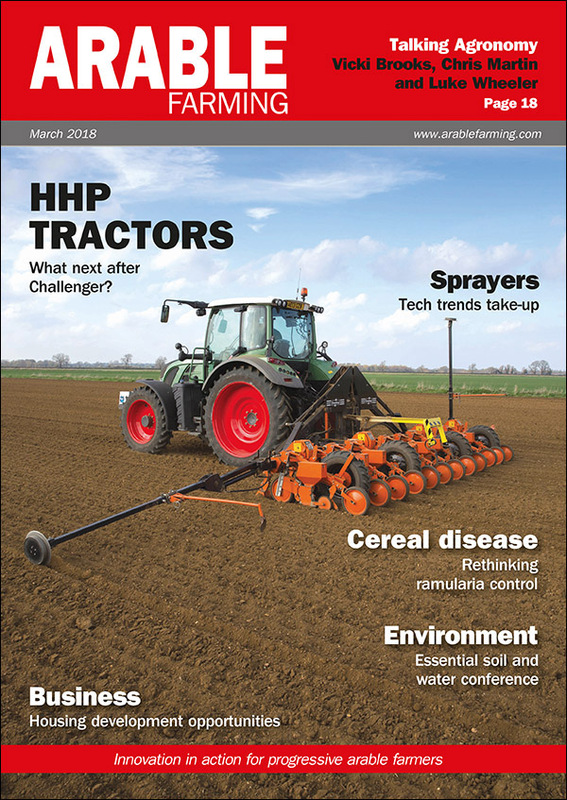 Away from the politics there is plenty to claim your attention in this issue, from tips for Open Farm Sunday first-timers to cereal disease control developments. Here’s to a trouble-free spring season. Next: Manitou MLT 635-130 PS+: Evolutionary step in the right direction?